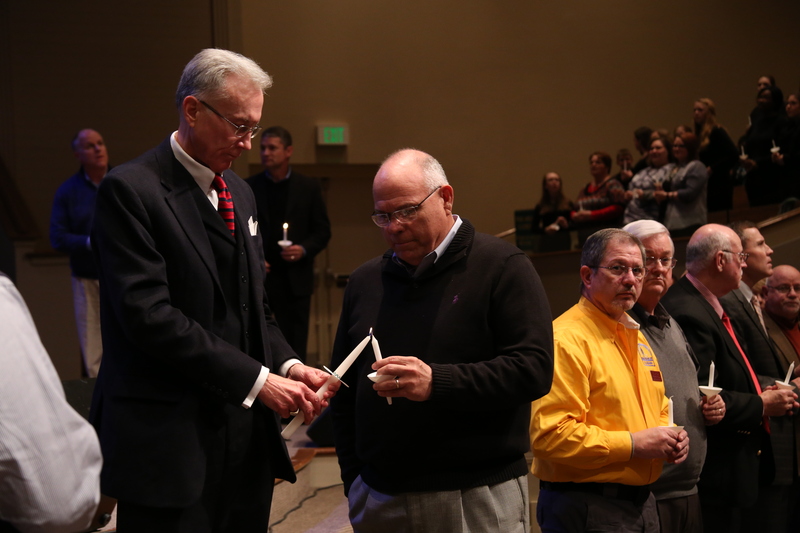 Despite weather advisories, icy roads and chilling temperatures, hundreds gathered at First Baptist Church, Trussville, to hear from six speakers at the State Evangelism Conference on Feb. 24. Josh Lancaster, pastor of Underwood Baptist Church, Florence, opened the morning session with the message “Dealing with Disappointment” from 2 Samuel 7. “You are an individual person and God deals with you individually. God is personal, He knows your wishes. He knows your ways. … God’s ‘No’ today doesn’t mean it will be forever,” Lancaster said. 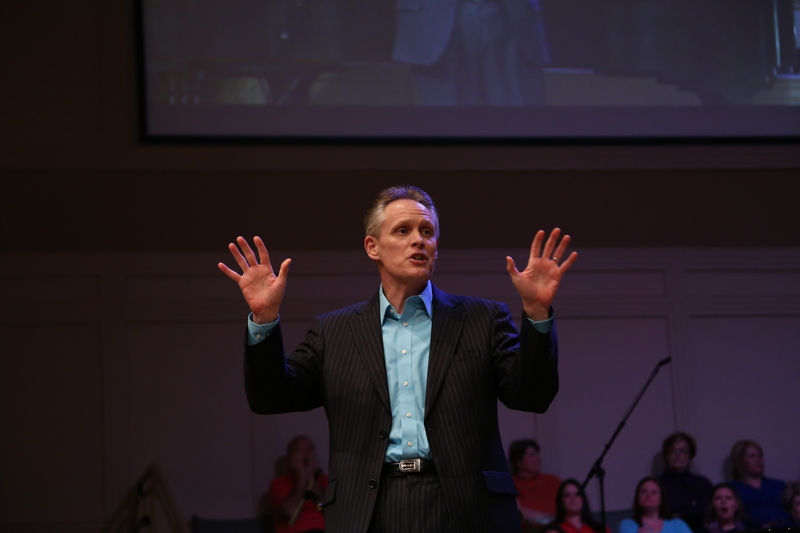 Dan Garland, LifeWay Christian Resources regional director, urged those in the congregation to focus on the hurting and “the ‘one’ instead of the masses” when sharing the gospel, referencing from Acts 3. Herb Reavis Jr. shared from Acts 20 at the conference. “If you’re going to reach your community it’s going to take a worship service that is alive,” said Reavis, pastor of North Jacksonville Baptist Church, Jacksonville, Fla.
“Worship should be a time of celebration, adoration, proclamation, illumination and elevation. We are surrounded by a culture of darkness but we’ve got the Light and I believe that when people come to church they ought to get the gospel. The gospel gives people light. Scott Dawson, of the Scott Dawson Evangelistic Association, shared during the afternoon session, relating ministry to running a marathon. There’s a start to the race, running the race itself and finishing the race, Dawson said. He said there are three marks that should be on a believer’s life in order to “finish the race” of ministry. 1) You will be spiritual. 2) You will be humble. 3) You will be persistent. “If we’re going to have a ministry that lasts, it’s not about me. It’s all about Jesus. Be passionate about Jesus,” Dawson said. “Faith demands action. … I believe we see churches falling apart because we haven’t attempted to do anything bigger than us in a long time,” Hammond said. For the morning and afternoon sessions, participants heard several familiar and several new songs from Daniel Crews, resident artist at First Baptist Church, Jacksonville, Fla.
Kevin Hamm, pastor of Gardendale First Baptist Church, was the evening session speaker, with special music by the church’s choir and praise team. Hamm shared from Mark 2 and suggested four reasons why American doesn’t see revivals anymore. 1) There is no real burden for the lost. 2) There is no real passion for Jesus. 3) There’s no real openness to change. 4) There’s no real celebration in the church. Look for a full coverage of the conference in the March 5 issue of The Alabama Baptist.